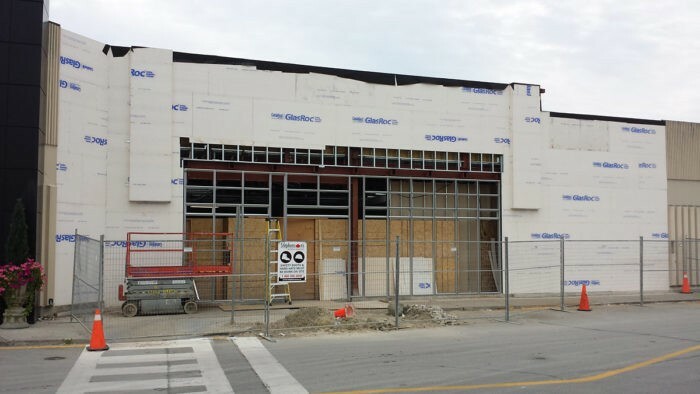 The number of people who are going for EIFS installation has been on the rise. Several reasons are making an increasing number of people to appreciate this design in their commercial and residential premises. First, it is one of the most energy efficient construction materials that you can find in the market. You will be able to save a lot of money on your utility bills when you make EIFS installation in your home or office. Unlike stucco, wood and other siding materials that you can use in construction, EIFS rarely calls for painting. 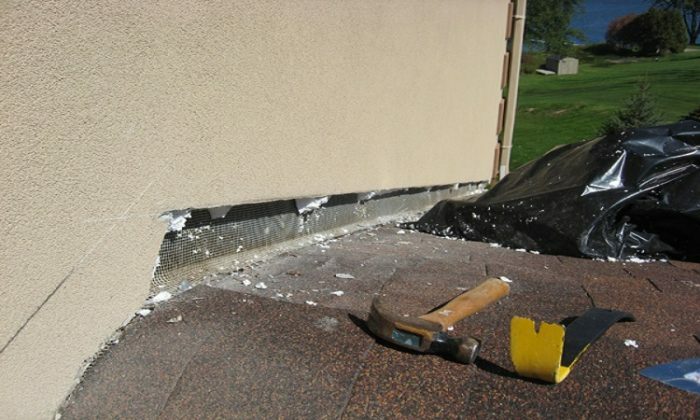 Most of the EIFS sidings have a unique formulation of 100% acrylic binder that gives the material a high level of resistance to yellowing, chalking or even fading. It is the most durable siding material that you can find in the market. Therefore, IIFS systems tend to maintain their original appearance over time. You will not see them fading because of weather and other external conditions. Because the color is an integral component of the EIFS finish coat, the color will continue to appear beneath the abrasion even if something scratches the surface. Everyone is looking for this feature in his siding. The other feature of EIFS is that it has a high level of resistance to mold, dirt, and mildew. Therefore, the exterior of the building will continue to look freshly painted and clean. If your surface gets soiled, you can hose it down to clean. The ease of maintenance also attracts several people to EIFS installation. The design of the EIFS systems makes them highly flexible. Therefore, they have a high level of resistance to cracks. When the walls of your building contracts or expands because of falling or rising temperatures, the EIFS system is highly resilient to absorb the movement of the building and eliminate the unsightly problems of cracking that are popular in brick, concrete, and stucco exteriors. If you are living in a region that is prone to hurricane and other harsh weather conditions, you can be sure that EIFS will stand the test of time. The other advantage of EIFS is that it comes in a broad range of design flexibility and hence supports a high level of aesthetics. Therefore, it can blend seamlessly with any exterior design for your building. The siding material also has a high level of moisture control that is missing in the other siding materials. It has passed the main fire resistance tests and hence complies with the building code. EIFS remains to be among the best siding materials in America and all over the world. The best company for working in EIFS installation in the region is San Diego Stucco and EIFS Repair Services. The company has the required level of expertise to handle this exercise. Like other cement products, stucco is prone to cracking. It will shrink when it dries and these stress movements will cause cracks to doors and window corners among other sections. These cracks interfere with the appearance of your building and may lead to water seepage that can damage the interior structure. Two types of stresses can cause your stucco to crack and these include the internal and external stresses. Internal stresses result from stuccos’ natural properties such as shrinking and drying. External stress refers to faulty constructions and weather conditions. To avoid them, you need a highly specialized expert like San Diego Stucco and EIFS Repair Services to work in your stucco surfaces. The internal stresses that lead to cracking include shrinking cracks. As stucco settles down and dries, it will result in tiny cracks on the finishing coat. The cracks won’t have a bad look unless they go beyond 1/32 of an inch. Shrinking can also come from faulty stucco applications such as a varying thickness in the mixture of stucco, and windy and hot weather conditions during the application process. Stud cracks are the vertical fissures that result from the external vibrating of machinery, heavy traffic, and continuously forcefully shutting windows and doors. Map cracks appear like road maps and originate from dimensionally unstable sheathing substrate movements like the stucco structure and plywood. Thermal cracks result from drastic and sudden temperature changes. You notice them by radial cracks and concentric circles out from the center. Some of them will appear as cracks that were induced by a hammer. Structural cracks are large open cracks across the surface of your stucco. Most of these cracks are directional. A single warped stud can cause stress leading to a vertical cracking along the stud. You can also notice a deflection crack that is a horizontal crack that runs through the plane of your wall. A diagonal cracking from any square corner that runs throughout the wall plane is the deflection. A re-entract crack is a diagonal cracking from the edges of different squares such as windows. A Yearly whitewash of stucco is most common repair work for minor cracks or hairline. 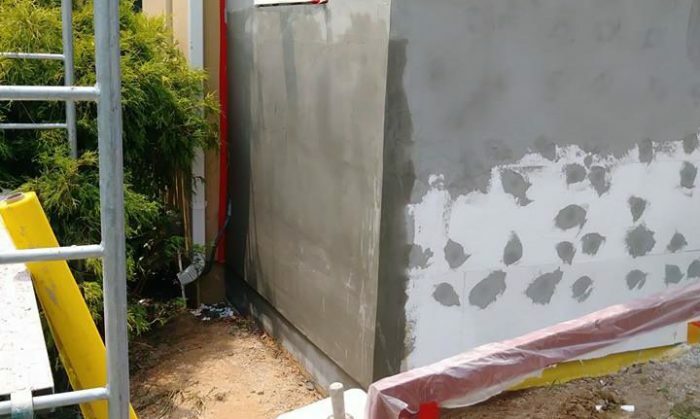 The lime that is present in the whitewash will harden the stucco and also fill the hairline fissures and hence prevent any form of water seepage. You can also coat your stucco building with oil mastic or paraffin to render it highly waterproof. For cracks that are larger than 1/8 of an inch, you can repair them by brushing a bonding agent coat. You have to apply acrylic mixture and Portland cement mixture over the whole surface. Apply an additional brush coat with Portland stucco cement finish on the same day. Don’t attend to tiny stucco damages with immediate effect because new cracks emerge over time and you will keep in repairing them. If the cracks are not too large, you can restore your stucco after two years. Stucco tends to crack, and you can minimize this by adding a base coat finish and mesh of fiberglass before you install the finish coat. 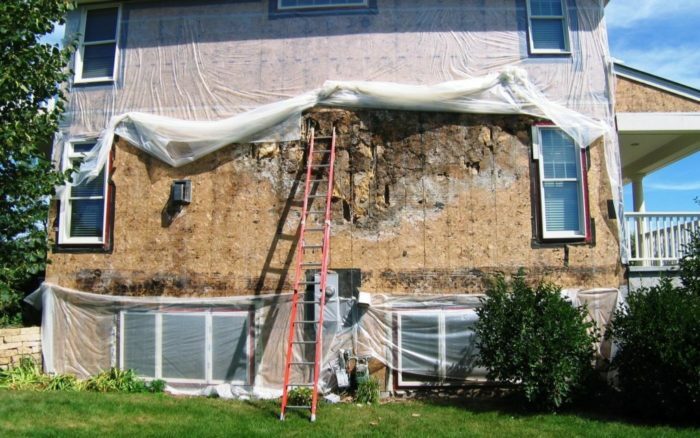 The process is costly, but you will avoid cracking in future hence minimize stucco repair. Steel reinforced foundations, compact soil, high-quality framing without moisture dry lumper, the correct stucco installation, and proper sheaths spacing are critical if you want to prevent cracking. San Diego Stucco and EIFS Repair Services lead the market when looking for stucco repair services. EIFS is the strongest sliding material that you can find in the market. The cost of installation is high, but you will spend very little in terms of EIFS repairs. Therefore, EIFS is a cost-effective construction material when you look at it in the long run. However, due to several factors, there comes a time when you need to carry out EIFS repairs. You should not undertake this exercise unless you have the required technical expertise to handle this task. 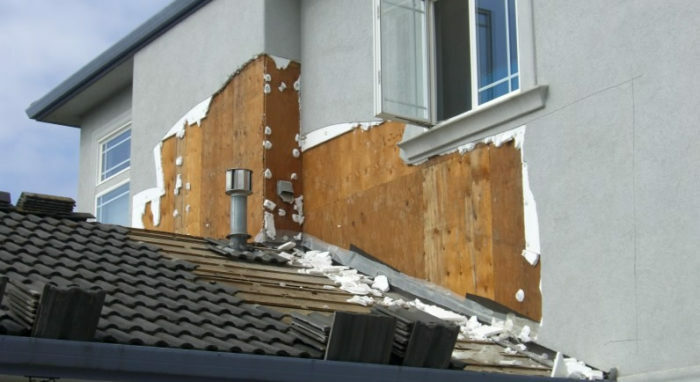 It is wise to leave this responsibility in the hands of professionals like San Diego Stucco and EIFS Repair Services. This company has a lot of experience in EIFS repairs, and this will leave your building looking new again. Like other regions of the world, America has a long list America has a long list of commercial EIFS contractors. The number continues to grow every day, and each of them presents itself as the best brand. Therefore, it becomes challenging to choose one of these brands to work on your project. You cannot work on this project by yourself unless you have the right training and experience. You have to choose a brand that will help you to produce the best results. Look at the quality of materials that the company uses to work on your project. A reputable commercial EIFS contractor will use high-quality materials to make your building highly durable. The company should also have modern equipment to help in working on this task. You don’t want a contractor who still uses old technology to work on your EIFS as this will compromise the quality of results. A company that has the interest of its clients at heart will be insured and licensed. Also, the commercial EIFS contractors of the company should be certified if you want to be sure of high-quality results. Do your homework well, and you will get a company that does high-quality work at the most competitive rates in the market. 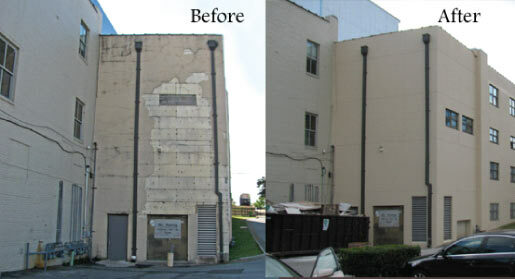 San Diego Stucco and EIFS Repair Services has the best commercial EIFS contractors in the region. You can’t compare the quality of work that they produce to any other construction company in the region.